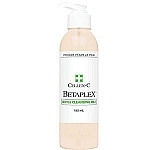 This ultimate dry skin formulation provides a rich moisturizing barrier to prevent the loss of water through the skin resulting in dehydration lines. Skin will feel moist and smooth even 10 hours after application. Enriched with oil of evening primrose, a natural source of gamma linoleic acid (G.L.A. 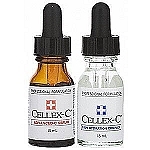 ), this product also contains bioflavonoids from milk thistle seeds, known for their protective effect on the skin. For excessively dry skin. 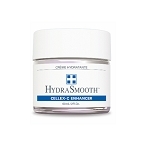 Apply Cellex-C Serum or Skin Firming Cream Plus and Hydra 5 B-Complex. Apply G.L.A. 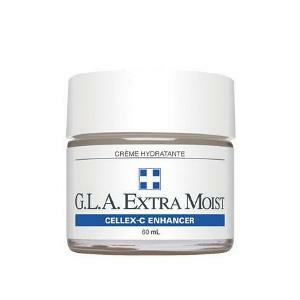 or G.L.A.Extra Moist Skin Cream liberally to your face, neck and chest. Avoid eye area. Caprylic/capric triglyceride, lecithin, evening primrose (oenothera biennis) oil, tocopheryl acetate, wheat (triticum vulgare) germ oil, witch hazel (hamamelis virginiana) distillate, ladys thistle (silybum marianum) extract, chamomile (anthemis nobilis) extract, allantoin, xanthan gum.